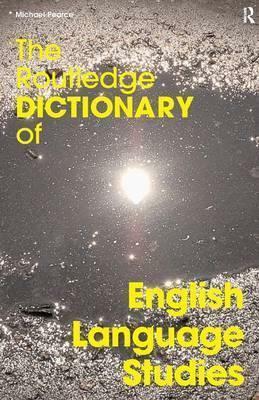 Filled with real examples of the way people use English in different contexts, The Routledge Dictionary of English Language Studies is an indispensable guide to the richness and variety of the English language for both students and the general reader. stylistics, literary language and English usage. Dr Michael Pearce is a Senior Lecturer in English Language at the University of Sunderland.